With another record year of sales and network growth for Metal Supermarkets, over 100 franchisees and Head Office staff gathered in Denver, Colorado to celebrate the successes of 2018 at the annual Metal Supermarkets Franchisee Conference. 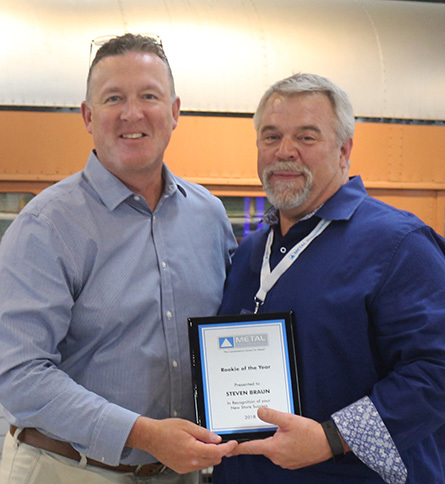 Along with a variety of training and educational sessions designed to improve franchisees’ operations and abilities, we took some time to recognize a number of outstanding franchisees at the anticipated Awards Banquet. This year’s Rookie of the Year was Steven Braun of Metal Supermarkets Jacksonville. Steven burst out of the gate in May 2017, setting multiple sales records including the highest store sales in the first 12 months of operation. Steven is forward thinking and committed to achieving his lofty goals. Congratulations Steven and the Metal Supermarkets Jacksonville team! Tim Kemp of Metal Supermarkets Vancouver was once again awarded the Safety Leadership Award for best reflecting the Metal Supermarkets core value of “operating in a safe environment.” The three Metal Supermarkets Vancouver stores feature clean and organized warehouses despite incredible sales volume, and they conduct monthly hazard assessments to ensure they maintain a high level of safety. Tim also monitors ongoing changes in legislation to ensure his stores are always compliant. Congratulations Tim! 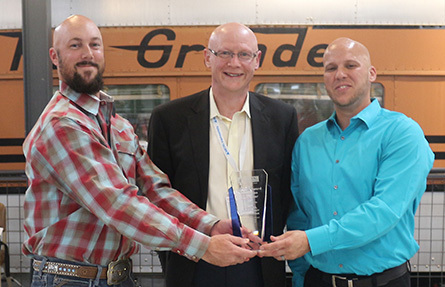 The newly renamed Bill Mair Award for Franchisee of the Year, in honor of Metal Supermarkets’ founder, was awarded to Douglas and Robby Gillingham of Metal Supermarkets Fort Worth. 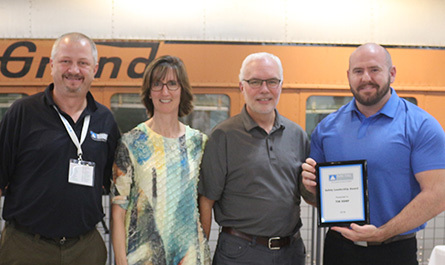 In addition to exceptional strength in sales performance, including a 27% sales increase in 2018, Douglas and Robby have built a strong team focused on customer service excellence, and are committed to safety and ongoing training.